It is now a tradition for every ski season in Bansko to attract skiers from all over the world. And we mean not only elite athletes and their teams for the world championships that are held here, but also for a season that is highly developed for mass tourism. The ideal conditions – both in the ski complex and in the resort, have been internationally known for years. They are recognized by the most authoritative institutions and rankings in the industry, as well as by a number of influential editions with analyzes of the resorts offering optimal conditions for family holidays. It is indicative, for example, that in November 2017 Bansko won for the fifth consecutive time the annual statuette of the World Ski Academy Awards. This made Bansko one of the nine resorts awarded with the entire set of prizes from all editions of the Awards, joining the company of Kitzbühel, Val Thorens in France, the Swedish Åre, the Russian Rosa Khutor, etc. Here it must be noted that the competition for the statuettes was joined by 202 resorts from all over the world and more than 1.6 million customers and professional athletes from over 143 countries voted online. Besides being the best ski resort in Bulgaria, Bansko traditionally leads the consumer charts for a cheap resort suitable for family holidays. The exceptionally popular British tourism website Post Office ranked it at first place. The survey conducted included not only Europe but also North America, covering 26 famous destinations. The analysis was made after Britain’s decision to leave the EU and was quoted by the British newspaper Telegraph for the last ski season in Bansko. The package prices have been compared with included equipment, a gondola card, ski training, food, beverages. For 6 days in Bansko the package was 271 pounds, followed by Kranjska Gora in Slovenia – 338 pounds. Sestriere in Italy was ranked third. In North America, the cheapest is the Canadian Banff – 702 pounds for 6 days. Just before the last ski season in Bansko, the famous “Daily Mirror” put the resort among the top 10 in the world. The criteria were for both skiing conditions and accommodation and services at reasonable prices. Bansko’s ski season is exceptionally long – usually from mid-December until the end of April and even May. This is due to the nature conditions, but not without the help of 230 snow cannons covering all slopes. The official opening is in mid-December with no specified date. The exact day is however always announced in advance, and the official start is celebrated with super attractions, surprises, great prizes games, musical programs, shows. For example, the treasure hunt in the snow which starts in the early afternoon on Banderishka Polyana, had a prize of a brand-new car. 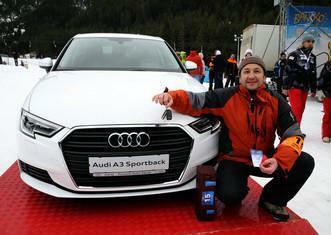 For the 2017-2018 ski season in Bansko, launched on December 16th, a man from Blagoevgrad won an Audi. Lyuben Shumerski dug out the chest with the lucky number. Usually, there are 24 chests and besides the car, there are also silver bars, tablets, speakers, a pass for the facilities. The game is very popular, joined by tourists from all over the world. 2017-2018 ski season in Bansko premiered a new game during the opening festivities where everybody can get lucky and find gold by taking a gondola up in the mountains. Another traditional attraction is a game where 20 viewers are assembled in two teams led by champions. The season opening is also honored with the presence of Olympic and world legends of winter sports. They hold open lessons, then lead the two teams in a downhill race. Last time the teams were led by Kristian Ghedina and Marc Girardelli. Ghedina’s team won with a better overall time, and Aleksander Durchov was the fastest Bulgarian. Openings are always accompanied by concerts by popular artists such as Mihaela Fileva, there are also famous folklore groups from the region. There are also show programs, such as the making of a hundred-meter sudjuk by Uti Bachvarov. Festivities go on until the a.m. with disco parties hosted by famous DJs. Bansko is permanently in the list of World Cups in winter sports locations. Since 2009, there have been five world alpine skiing and one snowboard competitions held in 2017. The list goes on: again, the Snowboard World Cup of 26-28 January 2018, and the “reservation” of the resort until 2021 for another 5 world ski tournaments in different disciplines for men and women. In addition, for snowboarders Bansko arranges a 10-day preliminary preparation camp for both World Championships and PyeongChang, where the Olympics will start on February 9th. There is also something worth mentioning regarding the snowboard championship during the 2017-2018 ski season in Bansko that is a demonstration of the resort’s population. A world-renowned luxury Swiss watchmaker became a partner of the resort and linked the snowboarding championship with the introduction of a limited series of 25 watches. They are made of titanium in blue and yellow – the colors of the resort. They consist of 207 parts, the mechanics being fully visible, the strap made of crocodile skin. In addition to the curiosities about the Snowboard World Cup during the 2017-2018 ski season in Bansko, the professional preparation of the organizers should be emphasized. It began on January 15 with the participation of 150 people professionally bound with alpine disciplines. These are the military from the alpine regiment in Smolyan and NSA students from the Ski Department. The track itself is 330 meters long with 5 sections. There are 4 jumps, the last of which is about 50-meter long. The track takes nearly 40,000 cubic meters of artificial snow, and 10,000 cubic feet are used to level about half a kilometer from the Tomba piste. The designer is Swiss – Anders Forsell, and Alberto Schiavon from Italy is the manager sent by FIS to overwatch compliance with the requirements. Besides the world, many other international, regional and national competitions are held in Bansko. However, this should not create the impression that the resort is just for competitors. Of the 75 km of well-maintained and secured tracks, 75 percent is for mass sport – 30 percent for beginners and 45 percent for advanced, with convenient training areas. The other 25 per cent of the tracks are for experienced masters . Additionally, with good routing, it is possible to combine a route of different difficulty. Thus, skiers and snowboarders can also choose light, easy routes, and long, varied, dynamic and exciting downhills with many rounds and sequels. The most difficult is the Tomba piste – it raises the adrenaline and emotions, but it is only for masters. All tracks are covered with a network of modern and fast gondolas, and lifts, from Bansko to the high places there is also a convenient 7 km long ski route which is illuminated and secured. The 8-seat gondola lift is 6233 meters and is the second longest in the country, serves all tracks. 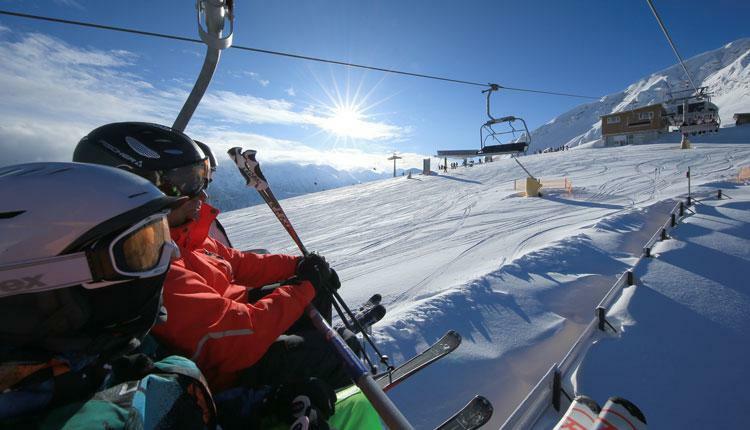 There are also 8 chairlifts, with 6 and 4 seats, there are special children’s lifts. For the 2017-2018 ski season in Bansko, tourists again can use different ski passes – for adults, pupils, students, elders, for children under 7 years, children between 7 and 12 years, family. In terms of duration, the passes are also varied – from 1 to 13 days, seasonal, also half-day, etc. The choice between ski schools is great. There is available equipment for skiing and snowboarding, wardrobes, service. Teachers are qualified, professionally related to alpine sports and having vast experience. Training is conducted under a flexible system. It can be individual to one person or a small group of up to 3 people. It can also be for a dozen people in individuals, family, or children-only group. Duration may also be different – from 1 to 13 days, with full-time, half-day or part-time training. Bansko has 70 km of perfectly maintained and secure tracks which are divided into 3 subdivisions: 35% for beginners, 40% for advanced and 25% for experienced skiers and snowboarders. The entire route is equipped 90% with artificial snow machines, a total of 230, which provides perfect conditions throughout the entire ski season. The longest track is 16 km long; it is suitable for moderately advanced skiers and in addition there are also illuminated 7 km long tracks some of which provide great night-time conditions. * Shilingarnik 2 — again a very spacious track, a 4-seat chair lift. * Tomba — a 4-seat lift, the biggest challenge of Bansko’s ski center. To confront it, you need to be sure of your skills and yet – be careful! The total length of the ski lifts is 22 km. There is regular and convenient transportation to Bansko for both Bulgarian tourists and foreign guests. All major cities in Bulgaria are connected by regular bus courses, and of course, the resort can be reached by car. The road from Sofia to Bansko is 150 km, so is from Plovdiv, and the distance from Varna is 520 km. From Istanbul, the distance is 600 kilometers, roughly the same from Bucharest, from Belgrade it’s 540 km. From Thessaloniki, it is 220 km, less than the road from Skopje. For air links, Sofia Airport is the closest. When arriving in Bansko, it is very easy to get to Lucky Bansko. 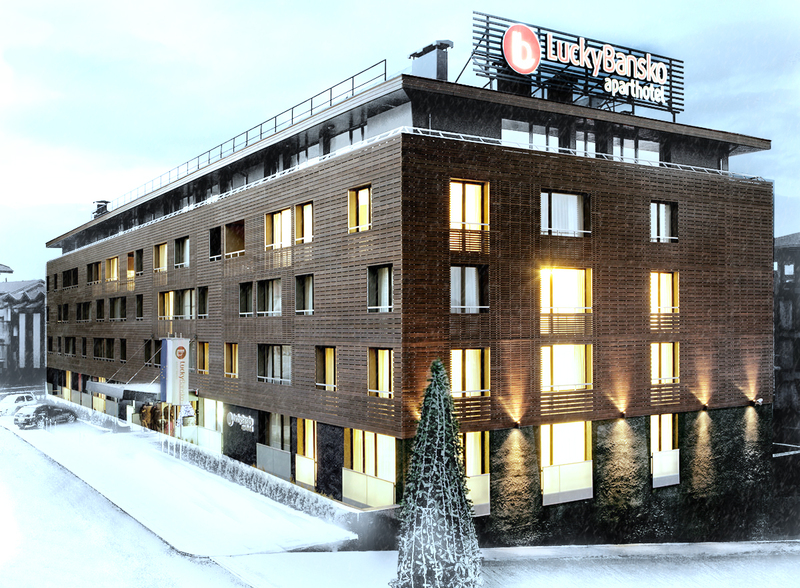 This is a luxury hotel complex with comfort and a range of international-standards free services providing numerous facilities and comfort for skiers. Lucky Bansko is just 450 meters away from Bansko’s centre, GPS coordinates – N 41° 84.270′; E 23° 48.298′. The distance from the hotel to the Bansko ski complex is 1600 meters, and for its guests, every morning Lucky Bansko provides direct free transport to the tracks in three courses – one at 08.30 a.m., the other at 09.30 a.m., and the third one – at 10.30 a.m.